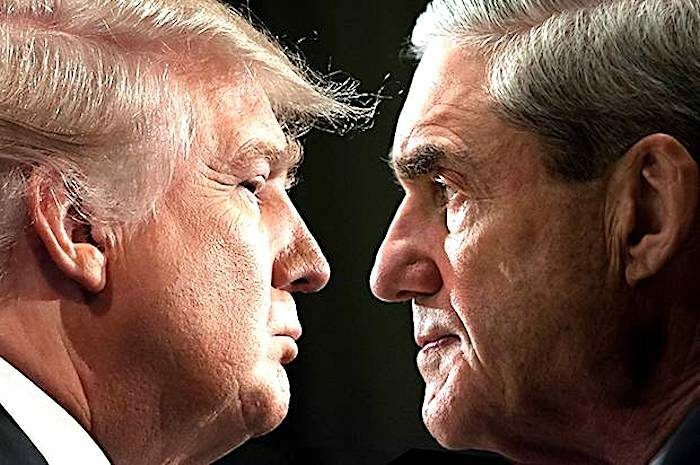 WASHINGTON DC: US Special Counsel Robert Mueller found no evidence of collusion between President Donald Trump’s election team and Russia in the 2016 election but left unresolved the question of whether Trump had tried to obstruct justice by undermining investigations that have dogged his presidency. Even though Mueller’s findings were inconclusive over whether Trump had sought to influence the probes, US Attorney General William Barr said in a summary released on Sunday that the special counsel had not found enough proof to warrant bringing obstruction charges against Trump. It marked a political victory for Trump and he claimed “complete and total exoneration,” although his Democratic opponents quickly expressed dissatisfaction with the outcome and vowed to keep up their political assault against him. Mueller’s nearly two years of investigation ended with a finding that no one in Trump’s campaign “conspired or coordinated with the Russian government,” according to the four-page summary of Mueller’s confidential report. The long-awaited report into whether Trump’s campaign colluded with Russia to help the Republican defeat his Democratic opponent, Hillary Clinton, marked a major milestone of his presidency as he prepares for his 2020 re-election battle. Mueller himself did not reach a conclusion on whether Trump broke the law by interfering with the various probes into the 2016 election, but presented his evidence to Barr to make a determination. “While this report does not conclude that the President committed a crime, it also does not exonerate him,” Barr quoted Mueller as writing in the report that concluded his 22-month investigation, which has led to convictions of several of Trump’s senior former aides. In a decision quickly attacked by Democrats, Barr – a Trump appointee who took office last month – said he and Deputy Attorney General Rod Rosenstein concluded that the evidence did not justify bringing obstruction charges. Democrats, however, immediately said they wanted to see Mueller’s report for themselves as they launch congressional investigations of their own into the 2016 election and Trump’s business and financial dealings. Any relief on global financial markets about the report’s findings was overridden by recession concerns. Trump, who was uncharacteristically quiet on Twitter for much of the weekend, was in his private quarters at his Mar-a-Lago resort when he got the news from his advisers. Mueller’s team concluded Trump’s team did not work with Russia in its efforts to help the Republican candidate and hurt his Democratic opponent. “The special Counsel did not find that the Trump campaign, or anyone associated with it, conspired or coordinated with the Russian government in these efforts, despite multiple offers from Russian-affiliated individuals to assist the Trump campaign, “ Barr said in the summary of Mueller’s report that he sent to lawmakers and the White House. The closure of the special counsel’s probe, while offering a potential political boost for Trump and a political weapon to wield against Democrats, does not mark the end of legal woes for Trump and people close to him. Other investigations and litigation are focusing on issues including his businesses and financial dealings, personal conduct, charitable foundation and inaugural committee. Committees of the Democratic-controlled House are also preparing a series of their own inquiries. The release of the summary is likely to ignite a new political fight in Washington as Democrats push for Barr to release the full report, and Trump seizes on the findings as vindication of his near daily assertion that he was a victim of a ‘witch hunt’ that has cast a long shadow over his presidency. Republican US Senate Majority Leader Mitch McConnell noted Mueller’s conclusion that there was no effort by Trump’s campaign to conspire with Russia but said he was disturbed by ongoing Russian efforts to “interfere with our democracy” and looked forward to reviewing additional information from the special counsel’s report. Trump has always denied collaborating with Moscow or obstructing justice and Russia says it did not interfere in the election. US intelligence agencies concluded shortly before Trump took office in January 2017 that Moscow meddled in the election with a campaign of email hacking and online propaganda aimed at sowing discord in the United States.